Bruce attended Victoria College at the University of Toronto and received his Bachelor of Arts degree in 1970. He then attended Osgoode Hall Law School, York University, receiving his Bachelor of Laws Degree (now J.D.) in 1973. He was called to the bar of Ontario in 1975. He is a member of the Waterloo Law Association and Canadian Bar Association, the Advocates’ Society, and the ADR Institute of Ontario. In over four decades of law practice, Bruce has been involved in handling various types of civil litigation, with emphasis on personal injury matters, including motor vehicle, occupiers’ liability, products liability, professional negligence, municipal liability, environmental liability, employment law, administrative, insolvency, landlord and tenant, insurance and other commercial litigation. He also has experience in handling a variety of corporate-commercial matters, including the negotiating and drafting of various types of agreements, franchise work, real estate transactions, wills and estates, and transactions involving the purchase and sale of shares and assets. There are few areas of the law in which he has not been involved at some point during his career. He appears in the peer review publications, Canadian Legal Lexpert® Directory and The Best Lawyers in Canada. Bruce has participated as counsel in many mediations, and presently acts as a mediator about ten times per month. He has significant experience in dealing with complex multi-party disputes. He takes great satisfaction from assisting parties in resolving their cases through out-of-court settlements. With Milena Protich, he has acted as Plan Counsel for the Walkerton Compensation Plan since March of 2001, a role which has involved participation in a large number of dispute resolution sessions. While his primary focus is on mediation, Bruce is also familiar with the arbitration process, and he conducts arbitrations from time to time. 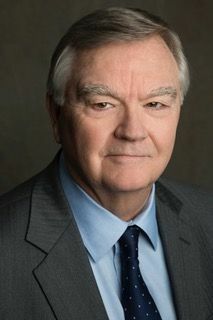 In past years, Bruce served as chair of the Board of Directors of Kitchener Power Corp., Kitchener-Wilmot Hydro Inc. and Atria Networks Inc., and as an advisor to the board of Atria Networks LP. He was a community representative on the Governance Committee of the board of Grand River Hospital, and a member of the Governance Committee of the board of Westmount Golf and Country Club. Bruce was also involved with the Kitchener-Waterloo Jaycees, participated as a manager and coach in the Kitchener Minor Hockey Association, and was chair of the Official Board of Trinity United Church. 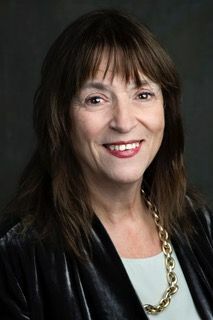 Milena Protich attended the University of Toronto and obtained her bachelor of arts degree in 1971. From 1974 to 1980, Milena was employed in a number of progressively more senior positions in the land development industry. She then attended Osgoode Hall Law School, York University, obtaining her Bachelor of Laws degree (now J.D.) in 1983. She obtained her Master of Laws degree at the London School of Economics, London, UK, in 1984. She was called to the bar of Ontario in 1986. She is a member of the Waterloo Law Association, the Canadian Bar Association, the Institute of Corporate Directors, the ADR Institute of Ontario and the Serbian Bar Association of America. In over thirty years of practising law, Milena has been involved in handling a broad base of litigation matters before the civil and criminal courts and administrative tribunals and has handled matters at all levels of court. She has extensive experience in general civil litigation, personal injury matters, professional negligence, municipal, planning and environmental law, as well as the law of charities and not-for-profit organizations. Milena also has experience in handling a variety of corporate-commercial matters, wills, estates and trust matters, and has provided assistance to businesses in immigration matters regarding foreign worker recruitment. Milena has published papers and lectured in the areas of municipal, administrative, privacy and charitable and not-for-profit law. Milena has participated as counsel in many mediations and arbitrations, and, together with Bruce Lee, has acted as Plan Counsel for the Walkerton Compensation Plan since March 2001, a role which has involved participation in a large number of dispute resolution sessions. Milena has served as a legal member of the CPP pension review tribunal and conducted hearings in this capacity. Milena has acted as a mediator in a variety of matters including personal injury claims, employment law matters, education accommodation disputes and sexual assault cases. She has obtained her Certificates of Achievement in ADR and Advanced ADR from the University of Windsor. Milena is actively involved in her community. She is currently a Trustee of the Waterloo Law Association and is on the Board of Directors of Lifeline Humanitarian Organization (Canada). She has served on a variety of Boards in the areas of arts, culture, hospital administration, affordable housing, education, refugee assistance and municipal services. In 1997 she was awarded the Law Society Bicentennial Award of Merit for her volunteer activities. In 2007 she was awarded a Woman of Distinction Award by the Cambridge YMCA. In 2012 she was awarded the Queen Elizabeth II, Diamond Jubilee Medal. Milena is the past Chancellor of the Serbian Orthodox Diocese of Canada. Mark obtained his Honours Bachelor of Arts degree from the University of Western Ontario in 1996 and was named to the Dean’s Honour List. He then attended the University of Windsor, receiving his law degree in 1999. He was called to the bar in Ontario in 2001. He is a member of the Waterloo Bar Association and Canadian Bar Association, as well as the ADR Institute of Ontario. Mark has been involved in a wide variety of legal matters in two decades of practice. He has developed expertise in personal injury matters, occupiers’ liability, environmental liability, insurance law, as well as various other areas of litigation. He also has significant experience in many corporate-commercial matters, including real estate transactions, the drafting and reviewing of a variety of business agreements, transactions involving the purchase and sale of shares and assets, as well as extensive experience in dealing with wills, trusts and estates. Mark has practiced in the area of ADR for much of his career. During his third year at law school, he participated in the ADR training class provided by Stitt Feld Handy Group and received practical, hands-on training in the field of mediation. 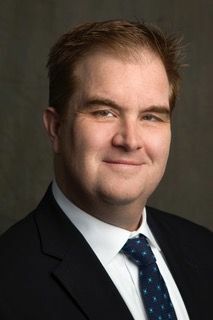 Starting in 1998, he was involved in an Ontario Small Claims Court project to provide mediation services to parties involved in litigation in Small Claims Court. Mark has participated as counsel in many mediations, and in recent years has increasingly acted as a mediator, providing assistance to parties trying to achieve resolution in all manner of disputes. Mark is a certified hockey coach and currently volunteers with the Woolwich Minor Hockey Association. He enjoys coaching and playing hockey, golfing, travelling, and enjoying time with his wife Kelly and their three children.